This 30" high Playing Card Mylar Balloon has an Ace of Spades on one side and a Queen of Hearts on the other. 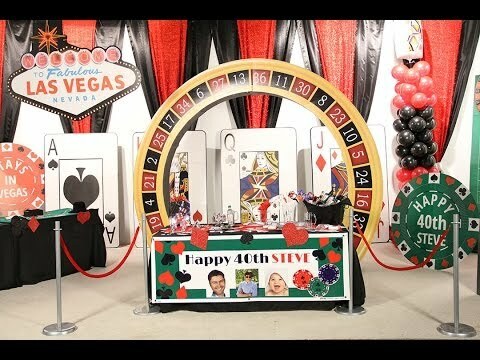 Playing Card Mylar Balloons make great table accent for your casino or Vegas themed events. Our Card Suit All Over Print Latex Balloons feature a red and black card suit design printed around the white balloon. These 11" Card Suit Latex Balloons are perfect for making centerpieces or balloon bouquets!